A new Domestic Abuse Law is being considered as part of attempts to improve police performance. The existing law already covers coercive and controlling behaviour – but it does not explicitly apply to relationships. Well done guys! You walked the walk and have done the Atal y Fro team proud! 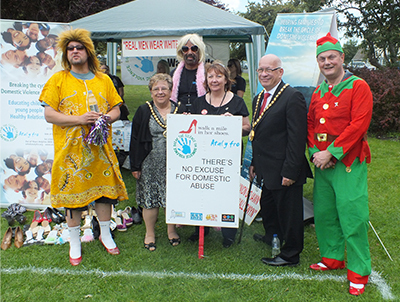 A massive thank you to Stephen Segal (The Sewing Box, Llantwit Major), Rowan Hughes ,Clayton Georges (Atal y Fro) and all those who were involved with the walk and supported our campaign, we couldn’t have done it without you! Congratulations to Dee Elifin and Janet Hughes who won the knitting competition which took place at the Sewing Box, Llantwit Major. We would like to thank Steve Segal and Lynette Warren for choosing us as their Charity and to the fabulous ‘Knit and Natter’ group who have raised over £100 for Atal y Fro. The generous support of individuals like yourselves make it possible for our organisation to exist and to make the community a better place to live! 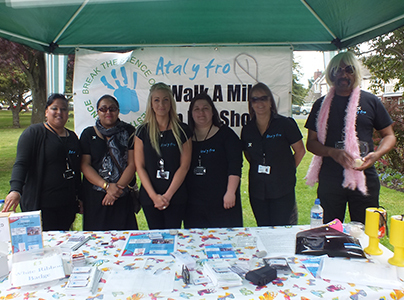 A huge congratulations to the Atal y Fro Team who attended the Safer Vale Funday on Saturday. You were all absolute troopers! We also raised over £300 for our Charity Raffle. Congratulations to all those who won the fabulous prizes and thank you for your support! And of course a massive congratulations and thank you to the Safer Vale Partnership for organising the event. It was an absolute HUGE success and extremely well attended. 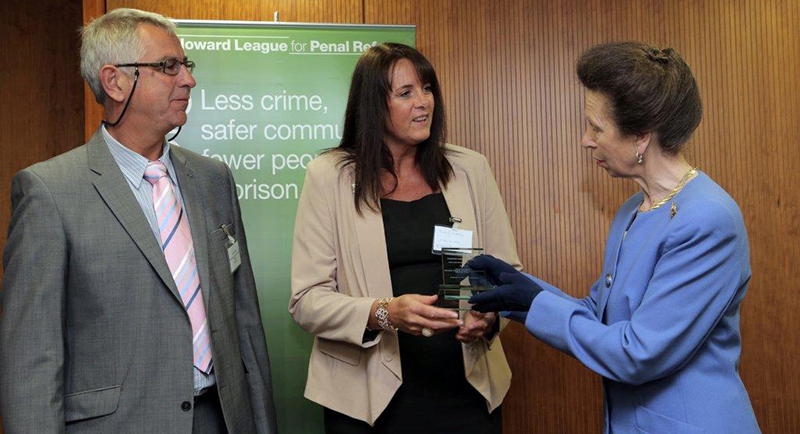 Atal Y Fro were runners up in a National Award ceremony held in London for the Howard League for Penal Reform. 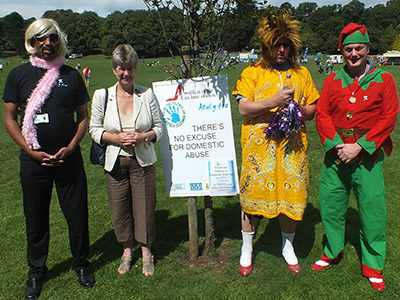 The recognition was for the EPIC (Education, Prevention, Intervention in the Community) Programme, a unique partnership between Atal y Fro and the Community Rehabilitation Company (formerly the Wales Probation Service) that has been running for just over three years. The ethos of the EPIC Programme is to ‘help the family stay together safely or separate amicably’. 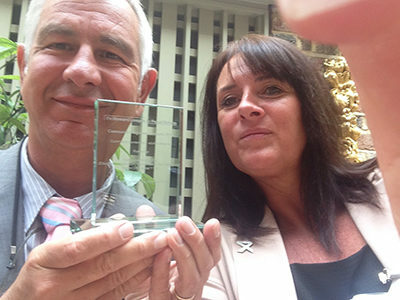 Kay Quinn, Director of Atal y Fro said: “Trustees and staff are delighted to receive this award which is a national recognition for the EPIC Programme and an affirmation of the strength of the partnership with CRC”. Gus Vowles, Treatment Manager of CRC commented: “The success of this partnership demonstrates how effectively public and Third Sector can cooperate to develop and deliver a Programme that is tackling the issue of domestic violence in a more holistic way”. 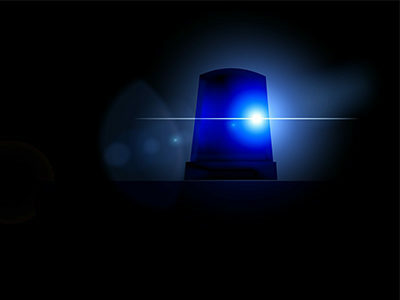 Police in Bridgend have successfully taken out their first new banning orders to protect the victims of domestic abuse. Last week officers from Bridgend were granted new power to ban a suspect from returning to their own home if a victim and children are believed to be under threat. Previously it was the victim and children who had to leave the family home. This call was released as part of the Launch of a major campaign against domestic violence before the World Cup starts. Some viewers may find the content of this video distressing. Welsh Government asks Wales to Make a Stand! 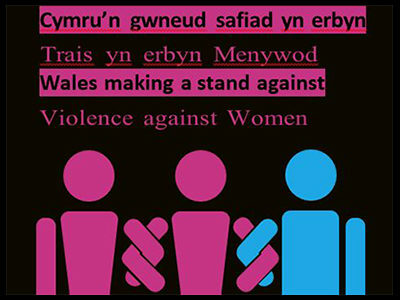 In the week when the Gender-Based Violence, Domestic Abuse and Sexual Violence (Wales) Bill goes before the National Assembly, the Welsh Government has launched an awareness campaign asking people to make a stand against all forms of such violence and abuse. 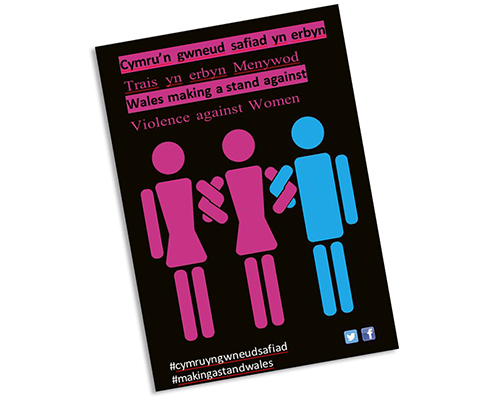 The Welsh Government is asking the people of Wales to openly declare their intolerance of these types of abuse by posting photographs of themselves linking arms on Facebook and Twitter and using the hashtag #makingastandwales. The year-long campaign will pose the question ‘What will you do?’ and will raise awareness of the support services available to those experiencing domestic abuse, violence against women and sexual violence. More information will also be made available to the public on what to do if they suspect someone may be a victim or perpetrator. 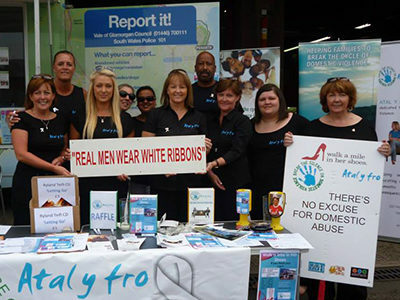 All those in need of help or further information will be signposted to the Live Fear Free website – livefearfree.org.uk and the All Wales Domestic Abuse and Sexual Violence Helpline – 0808 8010800. 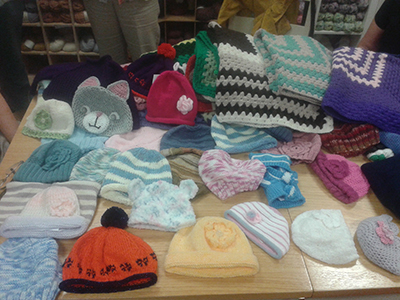 The Sewing Box in Llantwit Major is asking its customers to use their knitting and crochet skills to make baby hats for Atal y Fro. There are prizes for the best baby hats which will be judged by Atal y Fro and Jane Hutt AM. We are extremely grateful for your support and wish you all the best of luck!